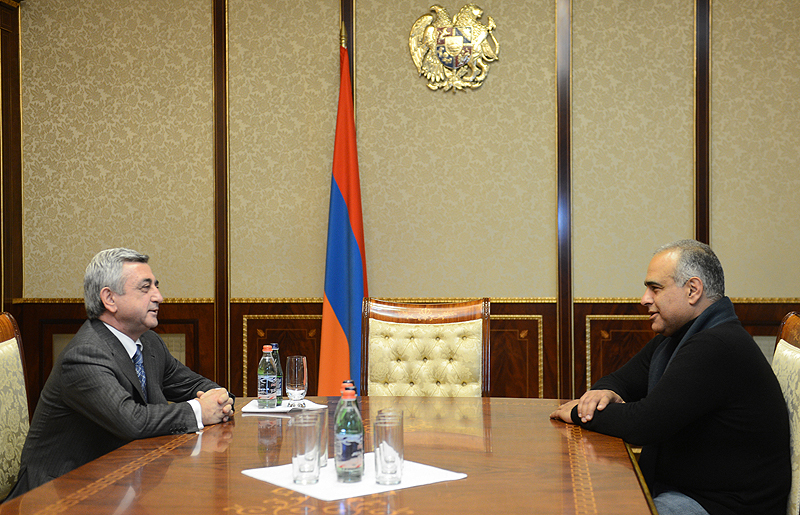 President Serzh Sargsyan received the leader of the Heritage Party Raffi Hovhannissian. Discussed was a wide range of issues pertinent to the RA presidential elections and post-election period. Serzh Sargsyan and Raffi Hovhannissian stressed the significance of conducting all processes in the framework of the RA Constitution and laws.